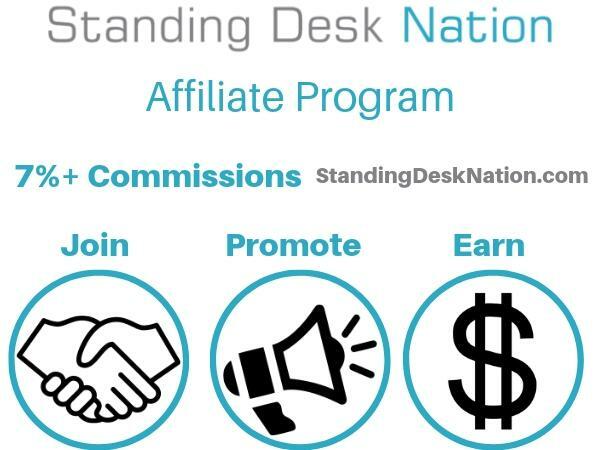 Description: Monetize your website or following and tap into one of the hottest industries in the nation with the Standing Desk Nation Affiliate Program. By becoming an affiliate at Standing Desk Nation, you have the opportunity to promote all of the best standing desk converter brands and products, with a real return that you can't find elsewhere. With commissions starting at 7% (much higher than Amazon! ), we'd argue this is the best standing desk affiliate program out there.